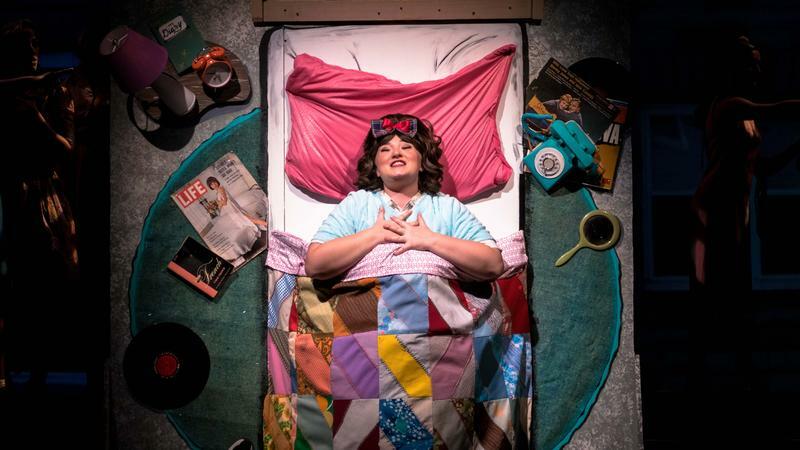 The show opens with Tracy Turnblad waking - and singing - in bed. The Education Theater Collaborative at Plymouth State University has been around since 1994. Every year, the ETC brings professionals, students and community members together for one big musical extravaganza. NHPR’s Sean Hurley spoke with the cast and crew of this year’s show, Hairspray, and sends us this. As the musicians warm up for the last dress rehearsal, and Technical Director Bob Bruemmer staples a final black drape into place, I spot Adam Nudd-Homeyer - a chair maker from Sandwich - sitting alone in the 665 seat Hanaway Theater in a surprisingly snazzy outfit. His daughter, Amelia, is a regular performer with the ETC and I assume he’s just here to watch. But, as it turns out, he’s in the show. Sandwich chair maker - and amateur thespian - Adam Nudd-Homeyer in the green suit in the back row. 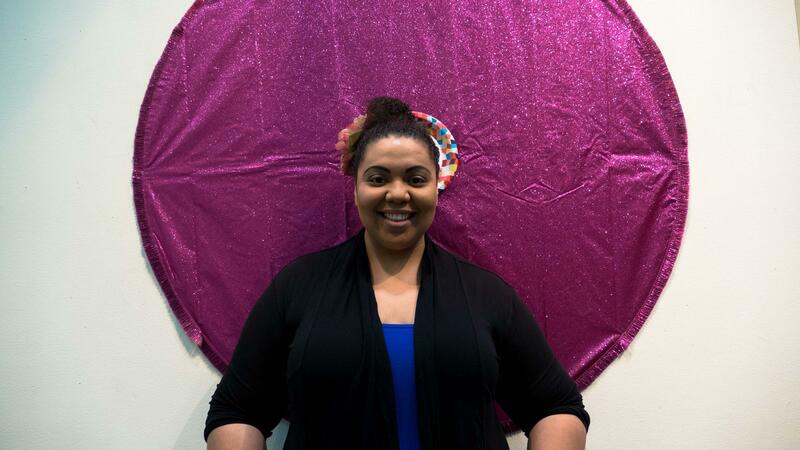 Becky Bass plays "Motormouth Maybelle". 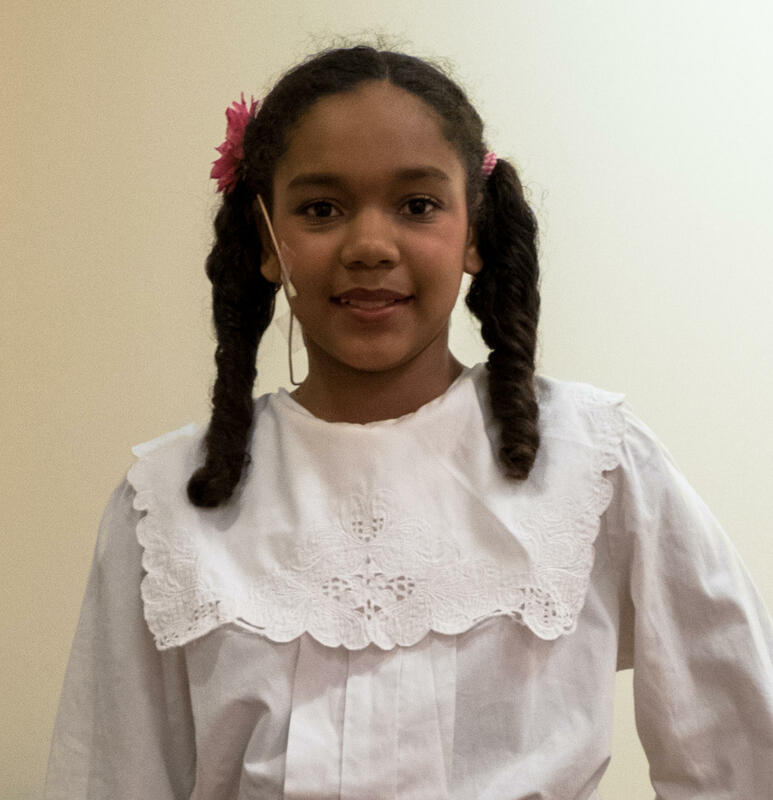 12 year old Lexi Renkert, from Rumney, plays Little Inez. Right before the final dress rehearsal starts, Director Trish Lindberg gathers her two leads, Kai De Mello-Folsom and Jenna Leigh Miller into a loose hug. 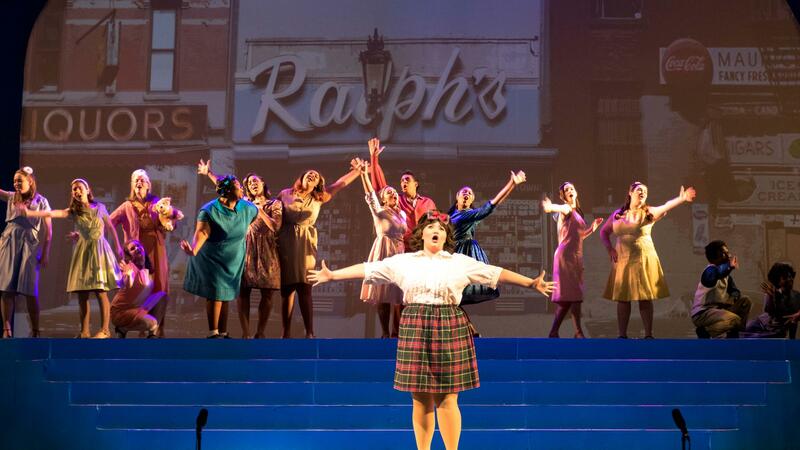 Jenna Leigh Miller as Tracy Turnblad. The music starts, the show begins…and I don’t want to spoil anything, but you don’t want to miss it. 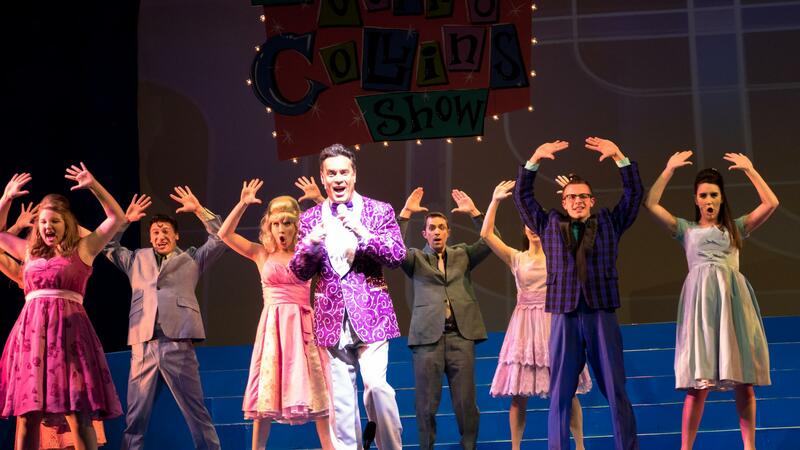 Hairspray runs this weekend only at the Hanaway Theatre at PSU.